From today until 3 November, the public can make written submissions on the government’s national planning framework. 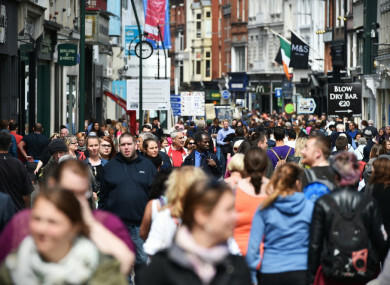 IRELAND WILL NEED 550,000 more homes and 660,000 more jobs for a one million increase in population by 2040. The government has published a draft of its long-term strategic planning framework for future growth and prosperity, Ireland 2040 – Our Plan, and is calling for input from the public. Of the one million extra people, 25% are planned for Dublin and another 25% across Cork, Limerick, Galway and Waterford. According to the draft national planning framework this will enable all four cities to grow their population and jobs by 50-60%. The remaining 50% of growth is to occur in towns, villages and rural areas. From today until 3 November, the public can review the draft plan and make written submissions. Email “Ireland will need 550,000 more homes and 660,000 more jobs for extra 1 million people by 2040”. Feedback on “Ireland will need 550,000 more homes and 660,000 more jobs for extra 1 million people by 2040”.